A young raccoon fell from a tree and broke her leg. Homeowner, Rosie Kemp and Daughter Laura Young, did not want to interfere in case the mother came in to claim her baby. When that didn’t happen, Kemp and Young had to do something. They called the Bahamas Humane Society (where they live) and were sad to learn there was nothing the local Humane Society could do. 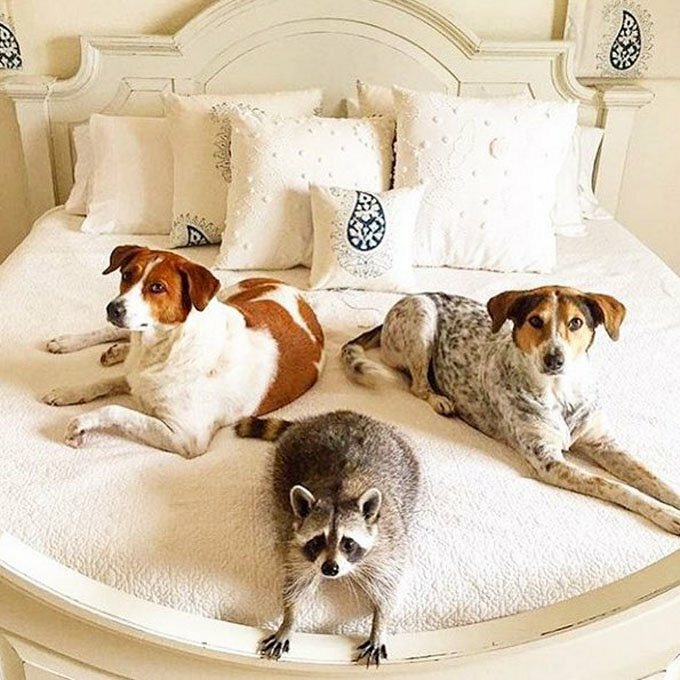 They could not leave the baby raccoon alone to die, so through the help and guidance of friends, they decided to nurse the little baby raccoon back to health themselves. With round the clock feedings and by keeping her warm. 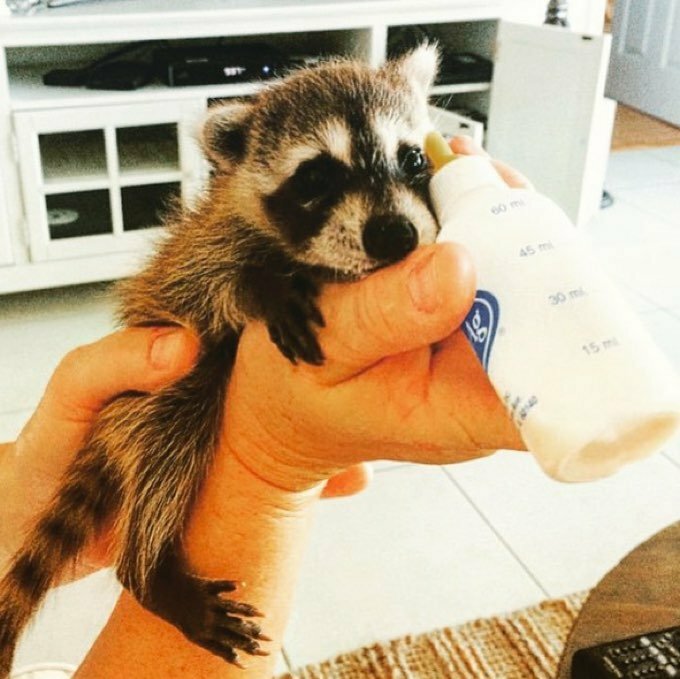 (NOTE: In the Bahamas, raccoons are legal to keep as pets as long as they are current on all their vaccinations.) 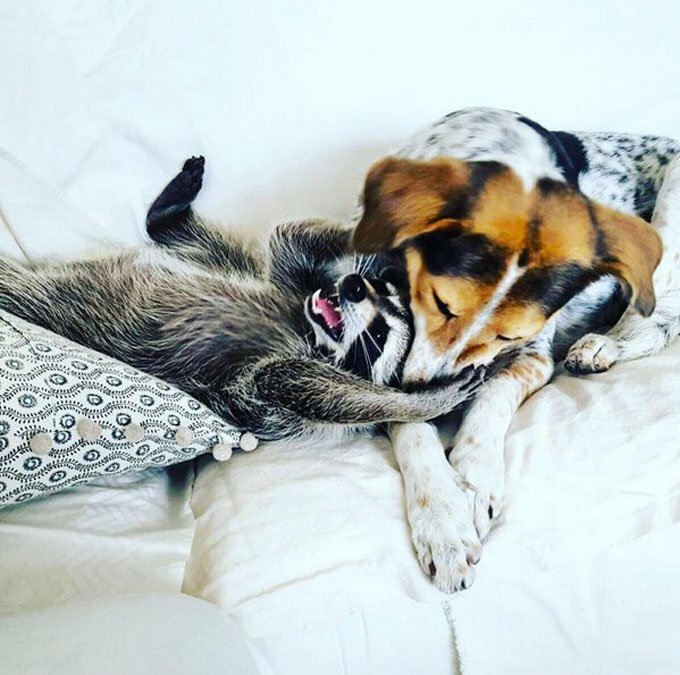 The raccoon, has since been adopted by the family and goes by the name of Pumpkin. Kemp and Young along with Young’s husband are happily living with Pumpkin, and their two rescue dogs, Oreo and Toffee. Sounds like one big happy rescue family! More Amazing Odd Animal Friends!